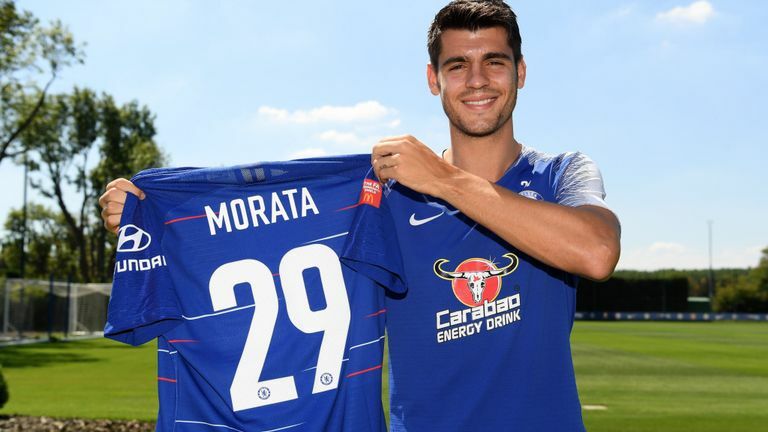 Chelsea striker Alvaro Morata has paid tribute to his twins by changing his shirt number with the Blues. The Spanish international star has passed up the number nine shirt for number 29 to celebrate the day his twin sons were born. Alvaro Morata and his partner Alice welcomed their twins, Alessandro and Leonardo on Sunday, July 29. This turned out to be the 25-year-old’s catalyst for a shirt change at Stamford Bridge. Morata struggled for form in the number nine shirt last season and would be hoping for a more fruitful season this time around. “It is a day I will never forget, to welcome my twin sons into the world.” Morata told Chelsea’s website. “My family is so important to me and I want to honour them and my wife, Alice, when I am on the pitch which is why I have decided to take a different number for the new season and remember this special day by adding the number two to my shirt. “I am sorry to the fans who may have bought a number nine with my name already, but I hope you understand my tribute and that it will not be a problem and we can make you a new one with the 29. “Thank you for your support and I hope this year there will be lots more to celebrate.” He concluded.